The Health Promotion Board (HPB) reported that unhealthy eating practices is one of the health concerns faced by children and youth in Singapore. Unhealthy practices are learned behaviour, and it is likely that if they’re not intervened from a young age, they will continue to plague an individual well into adulthood and cause more serious health issues. We look at some eating-related bad habits your child might be engaging in, and what you can do to manage them. Some might argue that snacking allows the body to maintain blood glucose levels at equilibrium but snacking too much can be bad for your child. If your child is constantly munching on something, whether it’s a healthy snack or a chocolate, it can affect their consumption of proper meals. Your child might also learn to wander in and out of the kitchen and snack in response to emotional triggers (remember how guilty you feel when you stress-eat? ), or simply boredom. Constant eating also does not allow your child to learn to identify if he’s truly hungry or not. – It might also be a good idea to keep unhealthy snacks out of sight. – Don’t indulge in frequent snacking yourself if you don’t want your kids to do so. It can be an absolute nightmare getting your little ones to consume their veggies, but it’s not an impossible task, and something you need to keep at if you want your child to grow up consuming these little power foods without you forcing them to. – Get creative with how you present the food. Cut the vegetables in cute, bite-sized pieces, or “hide” cleverly in paste form or in alphabet soup. – Get them involved in the shopping. Veggies can look pretty nice in the shops when they’re all presented together in a colourful array. This might interest your kids more. Do you know how much is too much? The recommended daily intake is 40 to 55 grams (eight to 11 teaspoons) daily but it is very easy to exceed this amount! Excessive sugar intake can reduce your child’s immunity, increase risk of tooth decay, increase the risk of Type 2 Diabetes, contribute to hyperactivity and restlessness, decrease attention span and lead to obesity. Obesity in children has risen from 11 percent in 2013 to 12 percent in 2014. In 2000, only 10 percent of school-going children were obese. – Be aware of how much sugar is in the food that your child eats. Read labels and choose food with less sugar. Keeping tabs on the amount of sugar your child eats a day can help you teach them the same lesson when they are older. – Introduce healthier snacks such as fruits, and minimise consumption of food with added sugar. 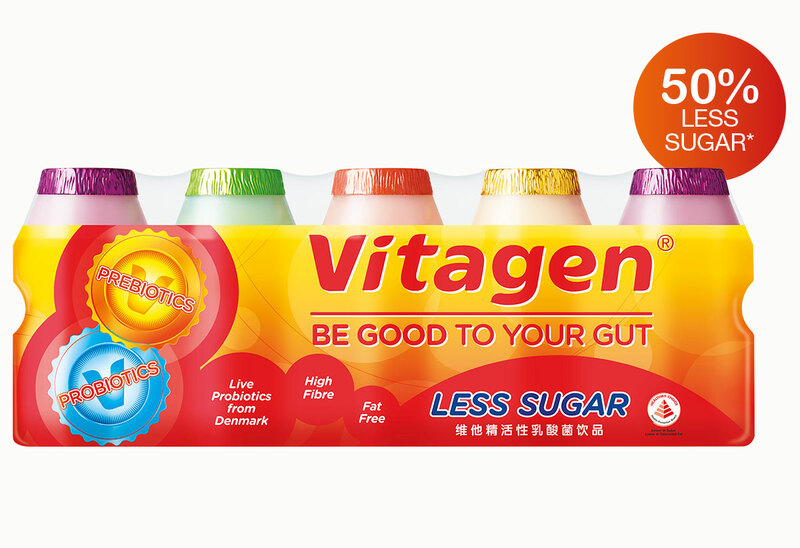 – Opt for healthier options such as VITAGEN Less Sugar. The cultured milk drink not only contains 50 percent less sugar and almost 10 times less sucrose than other regular cultured milk drinks, but also goes a long way in helping your child maintain a healthy digestive system. Are you facing any challenges managing your child’s eating habits? 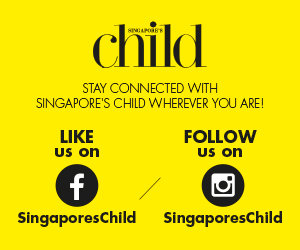 Share them with us in the comments section below!